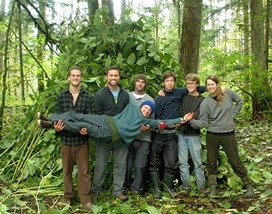 Welcome to the December 2012 eNewsletter from Alderleaf Wilderness College! 1.) Feature: Take Our Wilderness Survival Quiz! 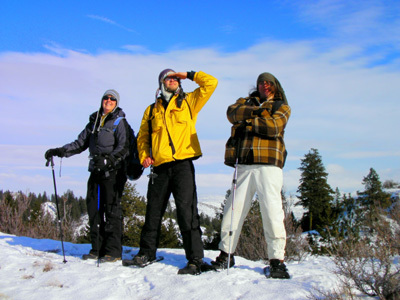 Feature - Take Our Wilderness Survival Quiz! 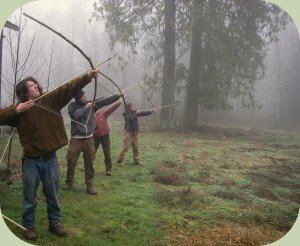 A wilderness survival quiz can be a fun way to learn more. The questions cover a wide variety of wilderness survival skills, including knowledge of making shelter and fire, finding survival food, recognizing hazards, and addressing first-aid situations. Learn new information and refresh your memory on survival essentials. Alderleaf is now on Pinterest! Check out our collections of amazing photos on Pinterest (a great photo-sharing site). Browse categories for wilderness survival, permaculture/sustainable living, wildlife tracking, wild edible & medicinal plants, and more. See the people, skills, and places at Alderleaf. Share your favorites with a friend! 2013 is sure to be another exciting year of events at Alderleaf! 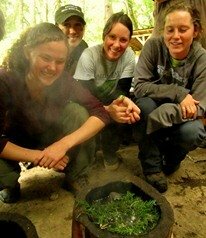 Our wilderness courses make a great unique, special holiday gift. Register a friend or loved one today and receive our early registration discount! Learn more about classes at our Courses page! We are now accepting applications for the 2013-2014 school year. Classes begin September 3rd, 2013. Check out the Certification Program web page! Did you know that Alderleaf has a blog and forum, and is also on social sites? Do you know of any great websites that would be a good connection for Alderleaf? We can always use the support of other sites linking to us. Just reply to this newsletter if you have any suggestions or contacts for sites that would link to us and be a good match. You can also mention us on Facebook, Twitter or any other way...every little bit helps Alderleaf affect positive change in the world through nature skills education! Thank you very much for considering this request!